This showreel rips! 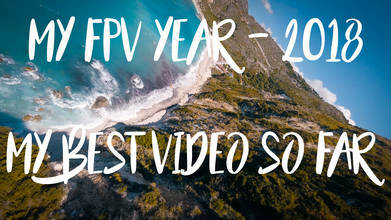 Including high-speed shots along the coast, tracking shots of BMX bikers, technical manuevers around windmills and cranes, scenic flights along the cliffs and through the fields, powerloops under picnic tables, and more it's quite the compilation by EngineerFpv. Description: It was an amazing year! At the start of this year i wouldn't even imagine how many things I was going to see through my goggles! Coming to the end, I realized that there is no any limitation using this amazing machines.